Ujamaa, cooperative economics, is the topic of the day, and it’s a big one in light of the holiday season. A time when consumerism is a major player in the gift-giving part of the holidays. In light of everyone running out to major department stores and big box shops post-Thanksgiving dinner, Shop Small Saturday comes around as a reminder to take advantage of artisan, local and mom & pop stores around the country. It made me think about the ways in which I, personally, can do better to support small business, especially black-owned businesses, in my area and beyond. Although I consider myself a freelancer in many ways, the state of California has designated my culinary work as that of a small business. And by default, a black-owned small business, or at least that’s how I self-identity. In the last few years, I’ve continued to snag work on my own accord or via word of mouth. It’s become very clear to me that small businesses are in competition not only with each other and larger companies, but in certain ways, they must also collaborate to establish and maintain a standard for better practices, fair wages, and financial growth in their individual industry, as well as the larger economy as a whole. As a principle, Ujamaa reminds people that the community thrives when everyone thrives; there should not be such a stark division between the haves and have nots that disrupts family and community harmony. Especially in regards to financial gains and business. Within my sector of the economic community, and in my city specifically, I’ve noticed there are less black women and men working in parts of culinary production. There are chefs and caterers, private cooks and food bloggers, although I don’t meet as many of the latter, but there are few who work as executive or higher level decision-makers for television or online content. If the community–all of those eyes soaking in hours of food content on a daily basis–thrives when everyone thrives, then we need to see everyone doing everything. Accurate and informed depictions of all there is in the world. My hope is that things will continue to improve, albeit the change has been slow. 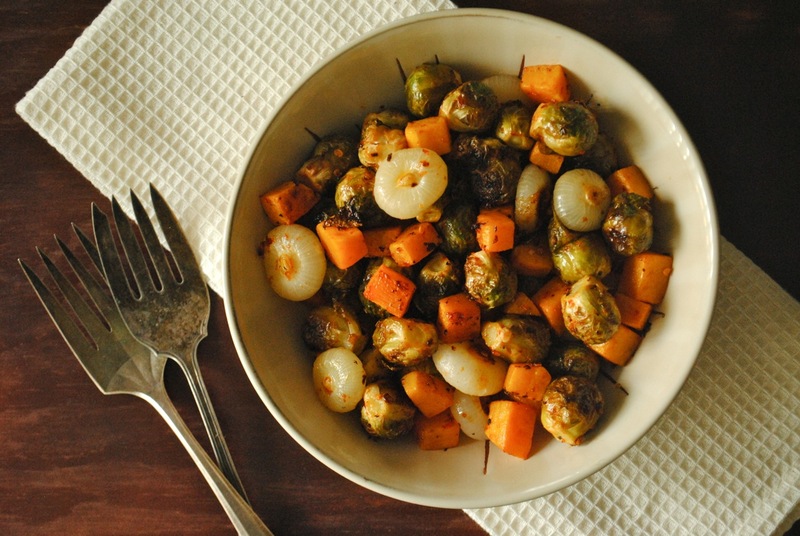 In light of this fourth day of Kwanzaa, I’m sharing a spicy, roasted vegetable dish that would be a great vegetarian side dish during the holidays. It is flavored by a spicy, tangy, citrus-laced sauce called piri piri, or peri peri as some would say. Piri piri is credited to Mozambique, although it was Portuguese settlers who brought the spicy chili pepper that forms the foundation of this sauce. Piri piri is also popular in Namibia, Angola and parts of South Africa, as well as in various restaurants around the world. The key to this sauce is alarming heat. If you can handle it. Heat attributed to those piri piri peppers, also called African bird’s eye chilis. On the Scolville scale used to measure the burn of chilis, they come in around 100,000 units. That’s hotter than a cayenne peper, but nowhere as hot as a habanero, for example. Here in Los Angeles, I couldn’t get my hands on authentic piri piri peppers, fresh or dried, on short notice. And to be honest, I enjoy heat, but nothing that will make my eyes water and nose burn. As a substitution, I used red Fresnos and Thai chilies, plus red pepper flakes and a little smoked paprika. This sauce is easy to adapt, so if watery eyes and a running nose excite you, make it as spicy as you like. 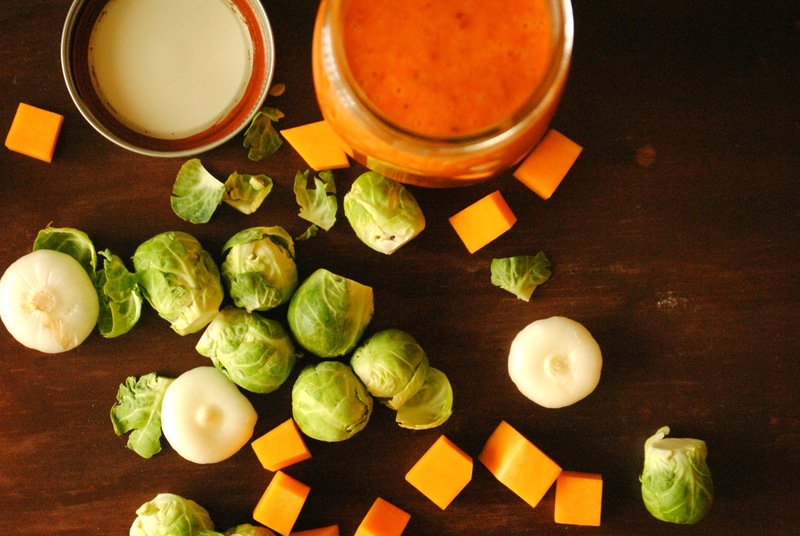 Brussels sprouts are still hanging on as a vegetable du jour right now, so why not include them in this year’s holiday menu? Pairing them with earthy cipollini onions and sweet butternut squash, along with the buzzing heat of the piri piri sauce, creates a unique side dish amongst those that are more traditional. This recipe makes nearly 1 1/2 cups of sauce. Any leftovers will keep in an airtight container for a couple of weeks. 1. Pre-heat the broiler on the oven. Line a sheet tray with foil. 2. Toss the chilies and garlic with olive oil, and spread them on the baking sheet. Slide under the flame of the broiler, and cook until lightly charred, approximately 3-5 minutes depending on the heat of the broiler. Watch them closely to prevent burning. 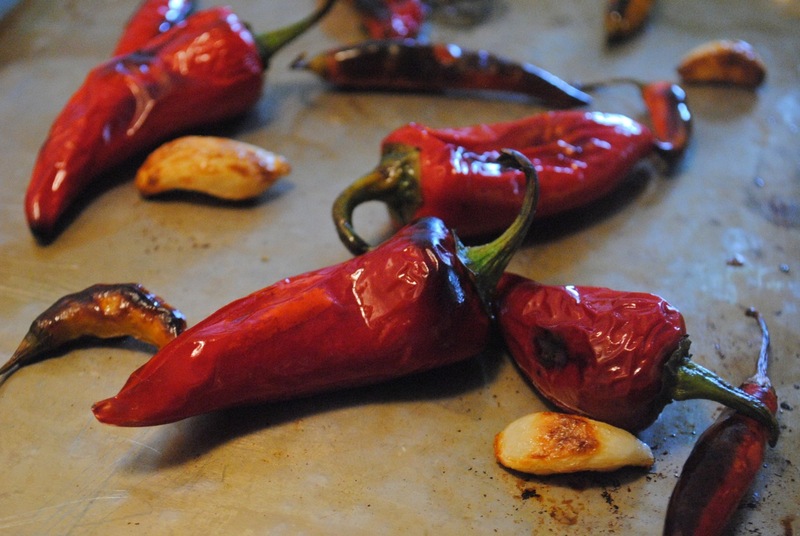 Remove from the oven, and trim the stems from the chilies, but hang on to the seeds. Turn the oven to 425 degrees. 3. 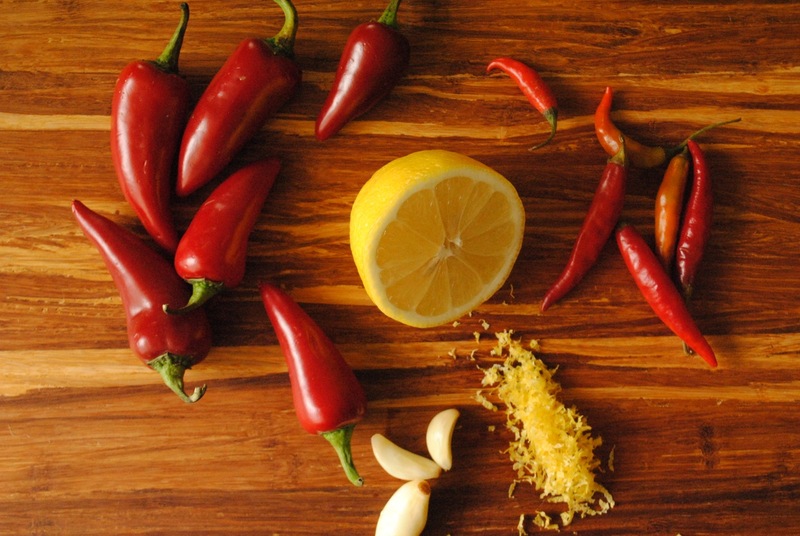 Throw the cooked chilies and garlic into a food processor, and puree until they’ve broken down into a paste. Add the lemon zest, red pepper flakes, bay leaves, smoked paprika, lemon juice, red wine vinegar and salt. Purée until smooth. Drizzle in the olive oil, blending until incorporated. Add more chili flakes for additional heat, if desired. 4. 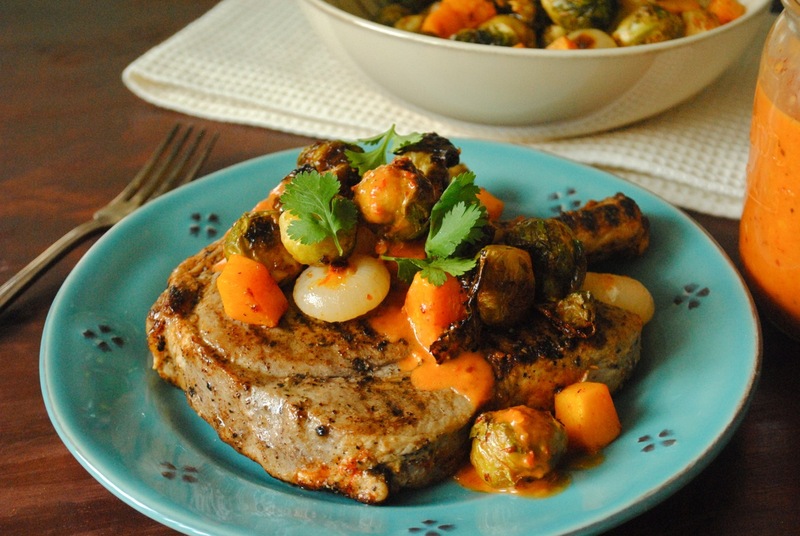 Toss the brussels sprouts, cipollini onions and butternut squash with 1/3 cup of the piri piri sauce. 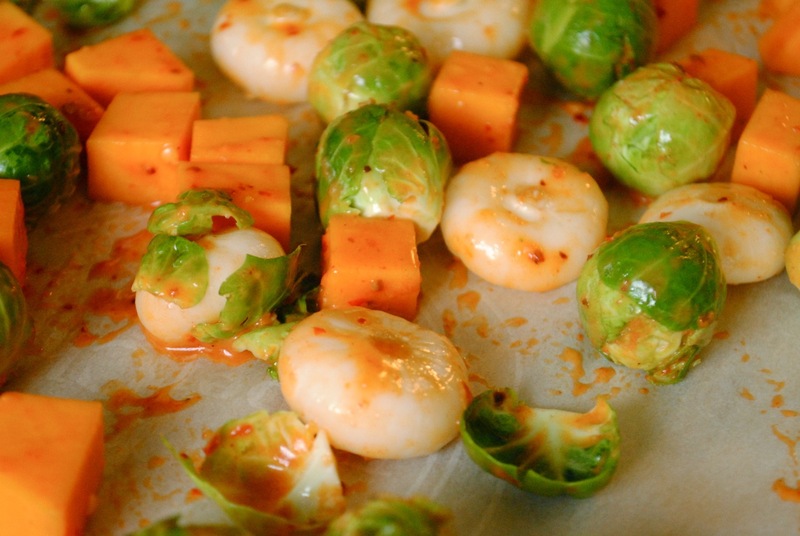 Spread over a foil or parchment paper-lined sheet tray, and roast for 25-30 minutes. Remove from the oven. Serve warm with additional piri piri sauce. This entry was posted on December 29, 2015 by The Duo Dishes in 2015, Personal Story, Recipe, Ujamaa and tagged black-owned business, brussels sprouts, consumerism, economics, Mozambique, piri piri, Portugal, side dish, small business, Small Business Saturday, Ujamaa.